Our team is comprised of passionate pet-loving people, and pet parents just like our customers! 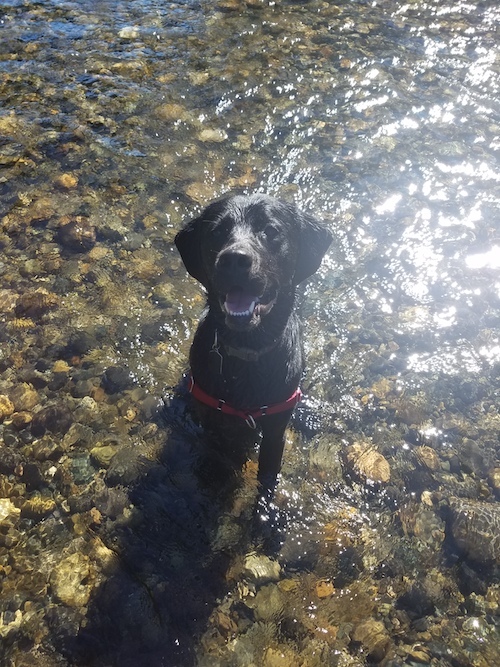 One of our own, Tyson, sat down to talk about his pup Wagner and the dreaded curse of having a Lab: the endless chewing, eating, and swallowing stuff he absolutely shouldn’t. Wagner had two Foreign Body Obstruction (FBO) surgeries in 2017; one in February and one in May, each totaling around $4,000. Tyson, also being a Healthy Paws customer, was reimbursed roughly $3,200 – $3,500 for each instance. Wagner is a happy and welcome addition to the Healthy Paws office; he’s always ready to play or be pet by a passerby, as Labradors are often known to do. He’s so friendly and outgoing, it’s hard to imagine him sick or in pain. However, in early 2017, Tyson was home prepping an avocado when the pit slid out and fell to the floor. Without any hesitation, Wagner immediately swallowed it unbeknownst to his humans. When Tyson couldn’t find the pit, he considered that maybe Wagner had swallowed it and would keep an eye out for any symptoms. Three weeks then went by without a single sign, so he figured they were in the clear. Until Wagner fell seriously ill.
“After all those weeks, all of a sudden, Wagner was vomiting up undigested food and he began shaking from the pain. He went into shock pretty quickly after that, and I brought him straight to the emergency vet,” says Tyson. Wagner had a 105° fever at the time he was admitted; there was an infection from an abscess caused by the pit, and excess fluid was building in his belly. He had emergency surgery that day to remove the offender, and was hospitalized overnight so he could recuperate with fluids. He was released, and everything seemed to be going fine. He was back to his friendly self, playing and horsing around with other pups. It was only a few months later in May that Wagner was up to his regular tricks. He’d gulped down two of Tyson’s wife’s ankle socks (also unknown until after they were removed). “It was about 3am that Wagner started throwing up and then went into shock again. I knew we were in trouble; I knew we had to get straight to the emergency vet.” After the vet’s examination, they discovered that the socks had balled up and perforated Wagner’s intestines. Unfortunately, the first instance of FBO surgery can lead to more complications in the future. “There was vomiting, but this time it was bile. The vet said he went septic due to the intestinal ripping. FBOs can cause adhesions and perforations, so the surgeons ended up re-sectioning 3 of the poor guy’s intestines.” The procedure went smoothly, and Wagner was put on antibiotics and fluids for post-op care. 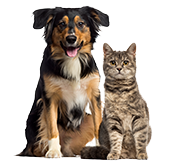 Stomach issues is the most common illness why our dogs and cats visit the vet, as determined by our 2017 Cost of Pet Health Care report, and this includes Foreign Body Obstruction procedures. FBO is essentially when your dog has eaten something he/she shouldn’t have, and it lodges in the GI tract. Most notable signs include drooling, anorexia, vomiting, diarrhea, low energy and belly pain. 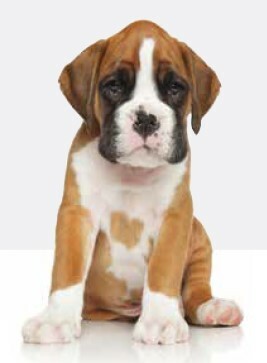 Even puppy-proofing doesn’t mean you’re in the clear – sometimes accidents are simply unavoidable. Get to the vet immediately if you suspect your dog has swallowed something that is not meant for canine consumption, as it can lead to pancreatitis which can be fatal in extreme cases. Signing up for dog insurance can protect yourself and your furry family member should the unimaginable happen; the procedures usually involve surgery and post-op care. Start your journey by getting a free quote.